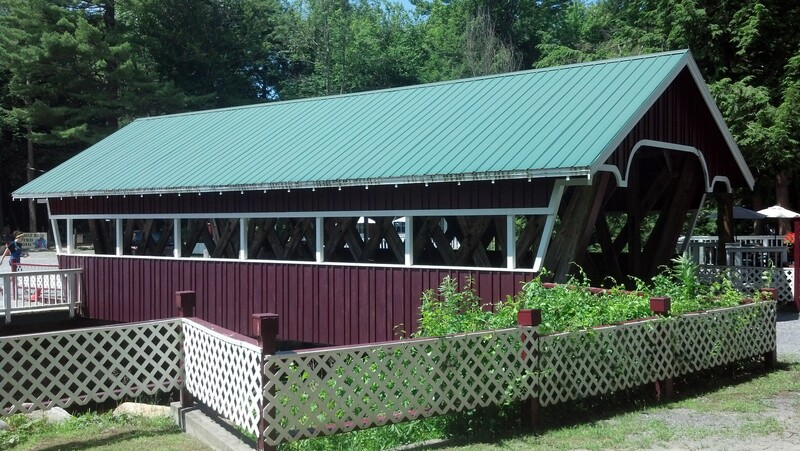 The Eagle Mills Covered Bridge is the only covered bridge still standing in Fulton County and is maintained by the owner and carries private traffic across Kennyetto Creek. 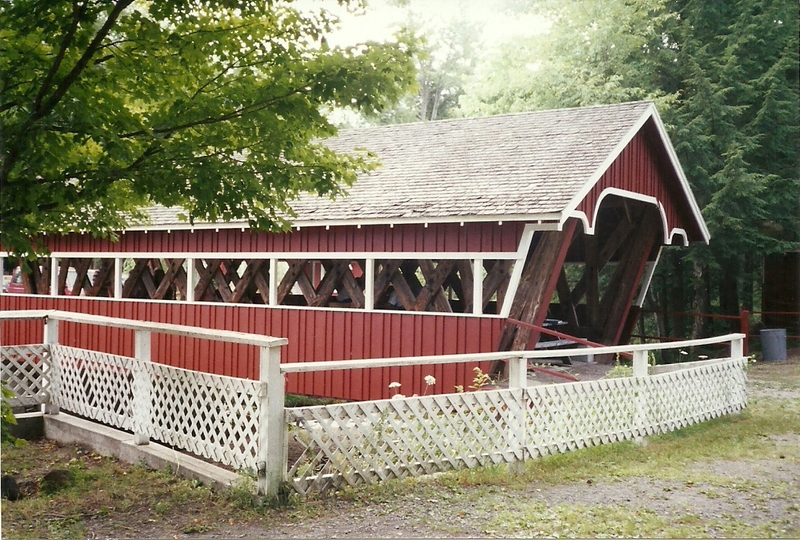 It is one of two (the other being the Frontenac-North Country Covered Bridge) covered bridges in the state with a double walkway. 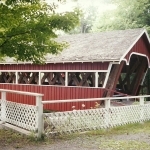 Built by John Gasner in 1967, this 40-foot-long, single span structure incorporates the Town lattice truss design patented on January 28, 1820, and again in 1835 by Ithiel Town of New Haven, Connecticut. 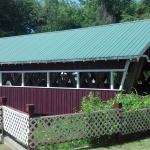 The Eagle Mills Covered Bridge is located on the grounds of the Eagle Mills Cider Mill and Family Fun Park. 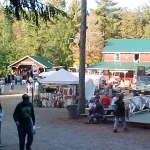 It is a very unique place to visit and you might want to spend a little time here, especially during the fall season when they are pressing cider. 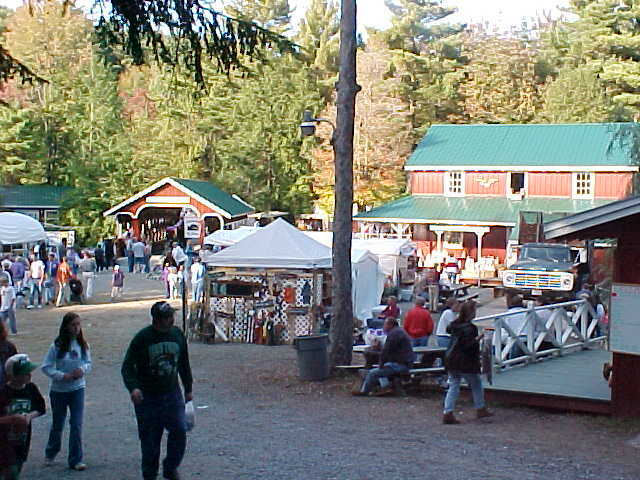 The 100-year-old Fitz Overshot Water Wheel powers the cider mill, as well as an old fashioned ice cream maker. The incredible array of belts, pulleys and line shafts moves apples through the mill, up the apple elevator, through the grinder and finally to an antique, knuckle joint cider press, where they are squeezed and blended to produce the famous Eagle Mills Cider. 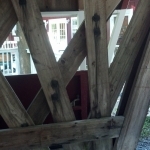 The same waters of the Kennyetto Creek that dance in an endless cascade through the water wheel also flow under the Eagle Mills Covered Bridge. 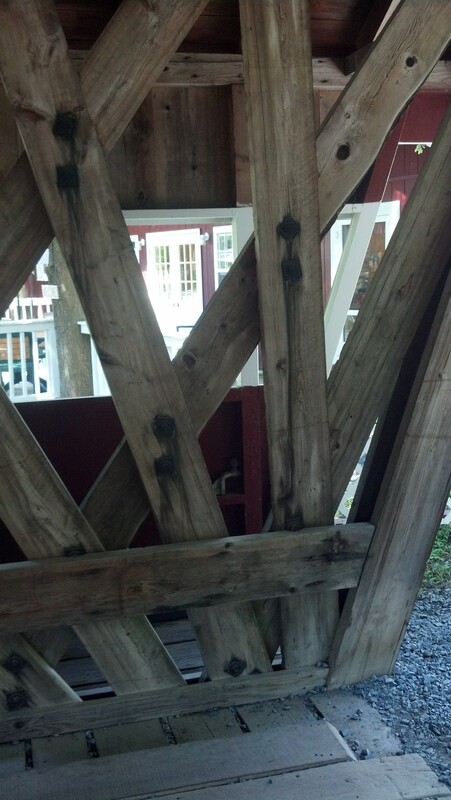 When John Gasner built this bridge, he used lumber milled at local sawmills from area trees. 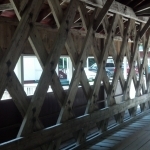 The large under span beams were recovered from the dismantling of an old Amsterdam, New York carpet mill. 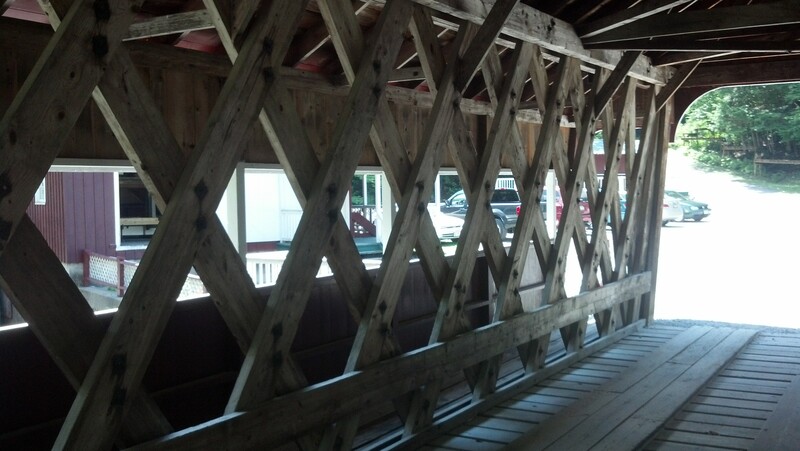 These massive beams, now serving as part of the Eagle Mills Covered Bridge, once held the weight of massive carpet looms from years past.